The kids’ bathroom is always messy, wet and completely unorganized, and any family that says it’s not – has their ducks in a row! So, whether you’ve designated one bathroom in the house just for the kids, or whether you’re sharing your bathroom with a set of pint-sized mini-me’s, keeping track of who’s left their damp and soggy towel on the floor and who’s let the bathtub toys in the tub – can be made a whole lot easier and fun, with a few simple organizing and design tips to keep you sane, and the kids happy! Create a cute monogram of labels and hooks for each kid to keep track of all their toiletries, towels and other little bathroom belongings, because even the littlest cherub can remember his color! Repeat the color coding game with them, by assigning a towel, face cloth or a sponge in their very own color. 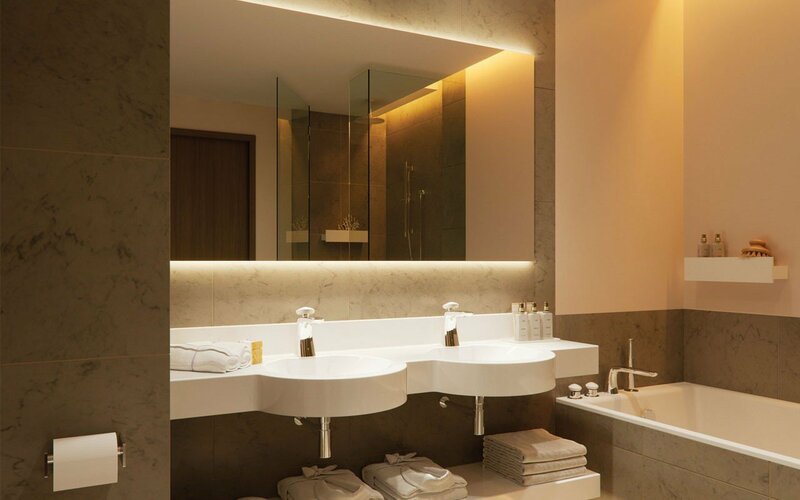 This will make life easier for you to keep track of who’s left their towel on the floor, and they’ll love that they have their very own set of bathroom necessities. 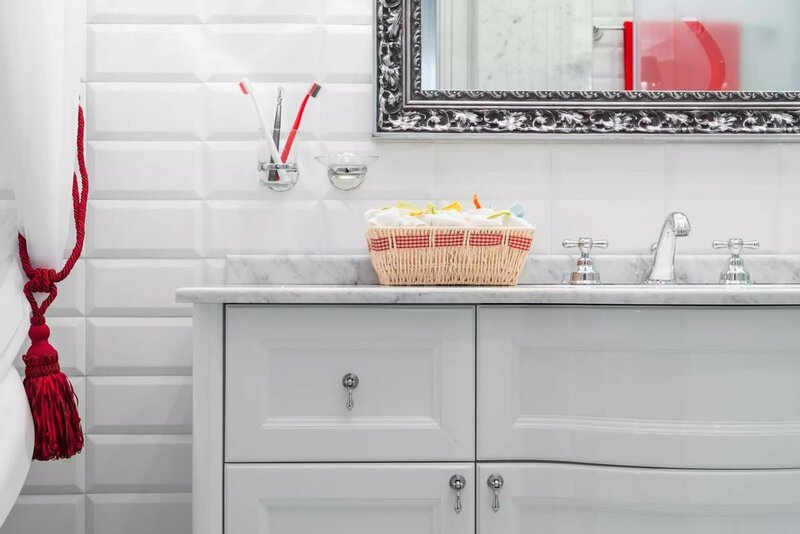 If you have one bathroom which needs to serve your crowd of kids, then pulling out that old pedestal sink and installing a double or even a triple sink, can create the world of difference you’re your morning routine with the kids! You’ll soon notice how all the kids have their hands washed and teeth brushed, in absolute record time, plus no more fighting for the sink. Problem solved moms. For a quick and easy change, try and rethink the bathroom mat that you have in the kids’ bathroom, if it’s washable or easy to wipe down it’s perfect, plus if it’s going to absorb all the bathtub water the boys splash out at bath time, it really doesn’t matter what funky and crazy color you decide to go with! You could even go with a set of carpet tiles or fake grass mats; the kids will love those. 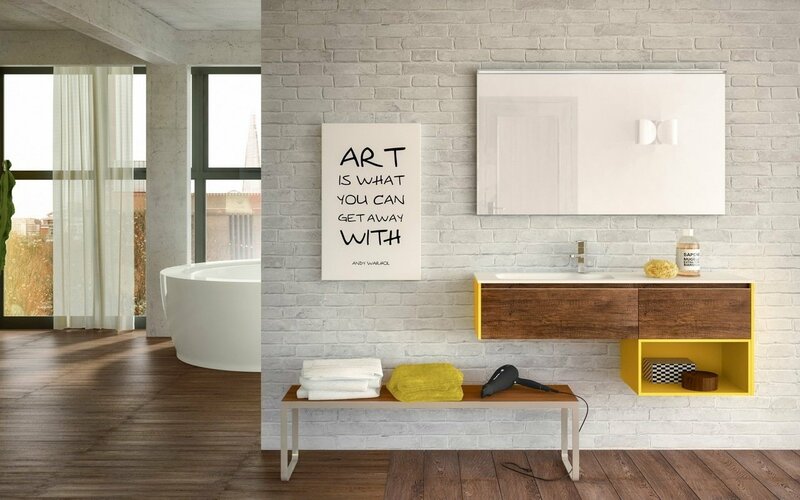 This is definitely a little too much for the master bedroom’s bathroom, but for the kids, you can bring in as much color and fun as you wish, brighten up the bland and boring vanity with wall sticker in bright and bold colors. If you want a subtler tone of colors, pick one color, and buy stipes in a variety of shades, that way can create an ombre feel on the vanity. 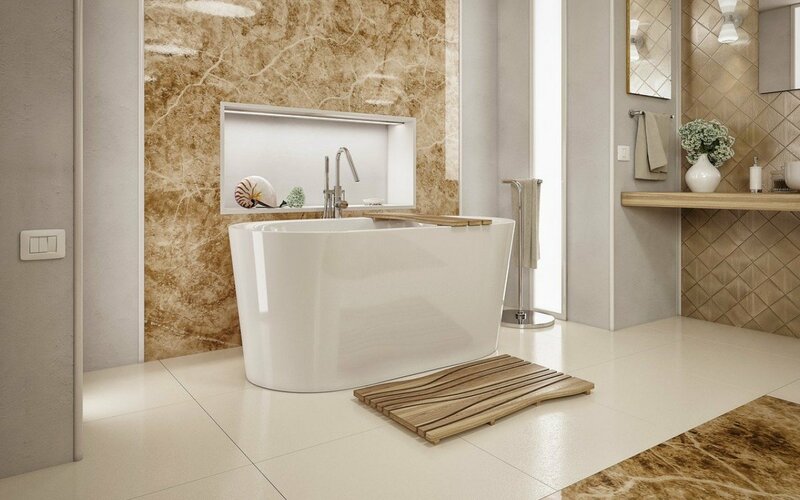 If you’re planning a complete bathroom remodel anyway, why not ask your contractor to include a built-in seat next to the bathtub. 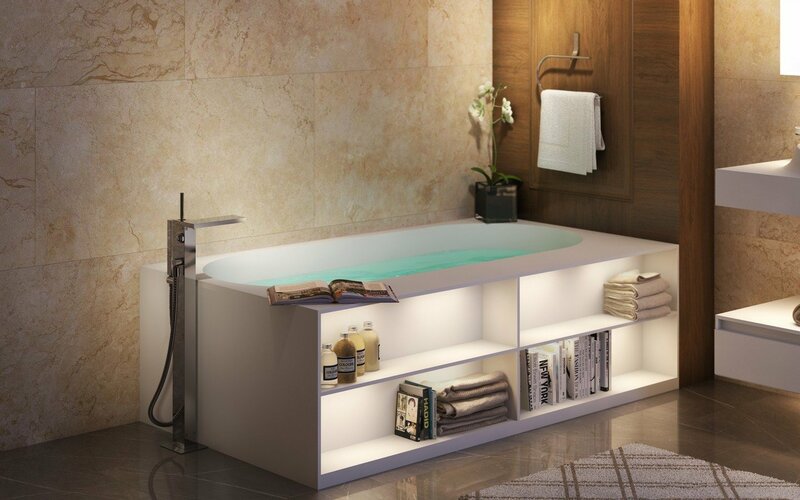 This give parents a place to sit while the little ones are bathing, plus it also creates a space for all the kids toys to sit and collect when they’re not using the tub. 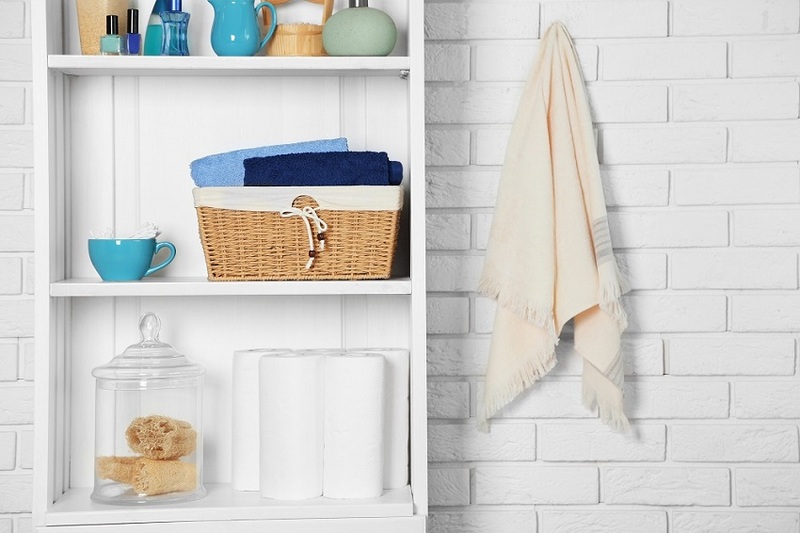 Of course, once the kids get older, you could also use it as an extra storage space for towels. Stash al the extra soap bars, shampoo and toothpaste in drawers under their sinks, instead of in medicine cabinets, this will make it so much easier for the little ones to reach it instead of a cabinet above the basin, which they can’t reach. Remember when you’re creating a kids’ bathroom, you can have a little more free-range when it comes to colors and décor style, but organizing and having structure is the best and most effective way to keep your kids’ bathroom, functional and fun, for everyone.